I was set a challenge this week to bake a mini cake or cupcake that described me. I chose to bake a mini pie/tart, so I suppose that means I must be someone who has little regard for rules. Especially considering I opted for a lime meringue pie, rather than the classic lemon. The other twist with this recipe is that I used a sablé breton pastry, which is very similar to a shortbread biscuit. 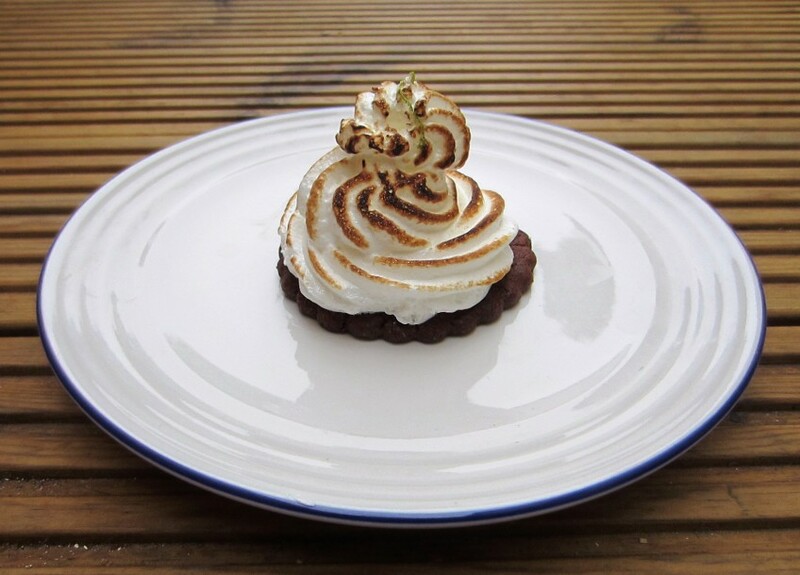 Knowing that chocolate and lime work well together, I decided to use a chocolate version of the sablé breton, which I topped with the lime curd I made a week ago and then finished off with an Italian meringue. Sablé breton is a slightly strange pastry, because it contains baking powder, giving it a soft almost cake like consistency, this works really well with the sharp lime and sweet marshmallowy Italian meringue. The pastry is very sticky and using flour to roll it out would alter the colour, so it’s best to roll this out between two sheets of baking parchment. When you’ve achieved the desired thickness (4-5mm), cut out rounds approximately 70mm in size and transfer these to a baking sheet to cook for 10 mins in a pre-heated oven. 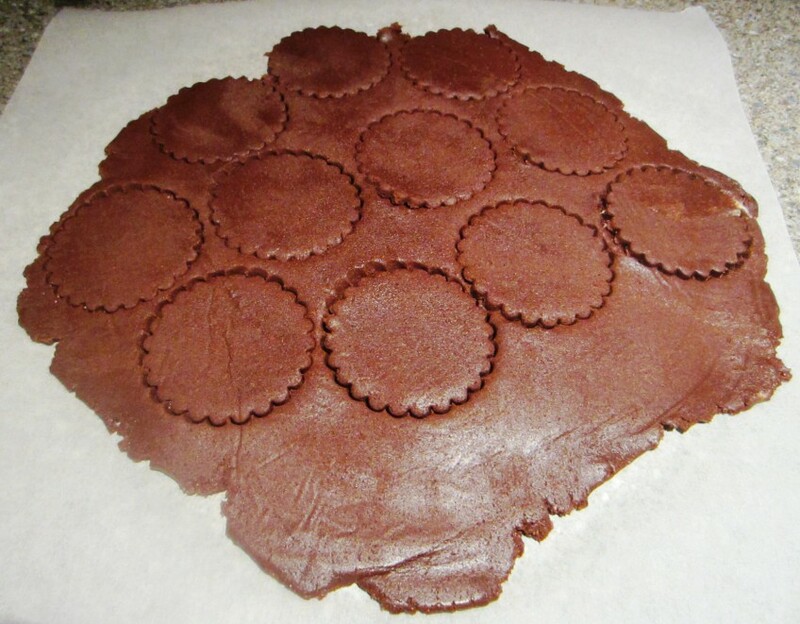 I used a lime curd to top my chocolate sablé breton, a recipe for which can be found here. These mini pies are very versatile and you could make one large pie by cutting out a large 24cm round of sablé breton, baking it for approximately 15-20mins at 180ºC and then topping with the curd (be sure to leave an edge without any curd) and finishing off with the meringue. 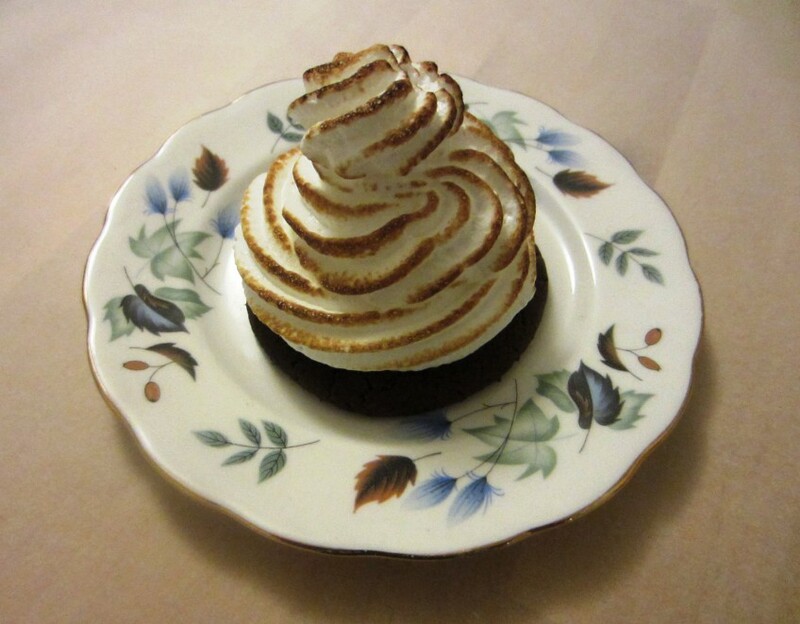 I decided to use an Italian meringue because I didn’t want to bake my lime meringue pies and I also love to have an excuse to my chef’s blowtorch. In an Italian meringue the egg whites are cooked through the addition of a boiling sugar syrup. This makes the meringue really marshmallow like and fluffy. The meringue was piped around the outside of the lime curd to encase it fully and then it was piped upwards in a swirl. After the meringue is piped, all that remains is to take a blowtorch to them and scorch the outside of the meringue to give it a light crunch. These little pies are great to make as they can be assembled in stages, making them a perfect dessert for a party. 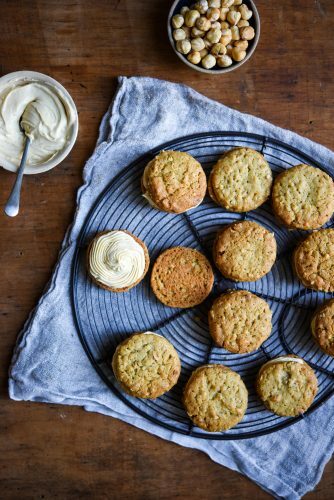 You could make the biscuit, curd and meringue in advance and simply assemble them just before guests arrive or you can make them up to a day in advance. 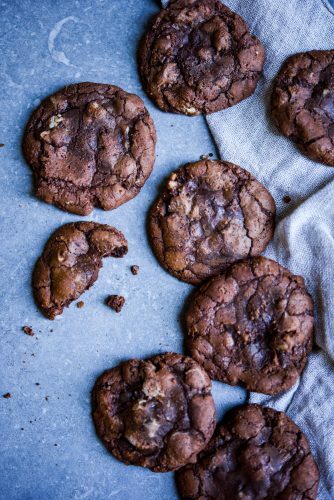 The chocolate sablé breton does become quite soft, so you may want to cover them with a layer of melted chocolate and allow that to set, before adding the curd and the meringue. 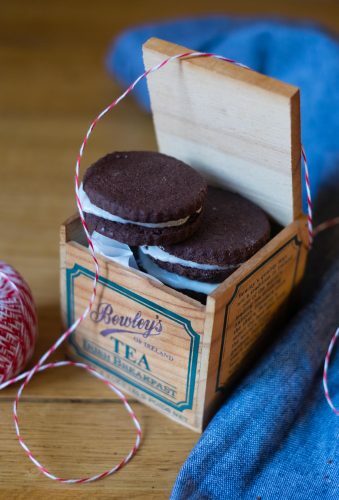 The chocolate would act as a barrier to the moisture and keep the biscuit crumbly. 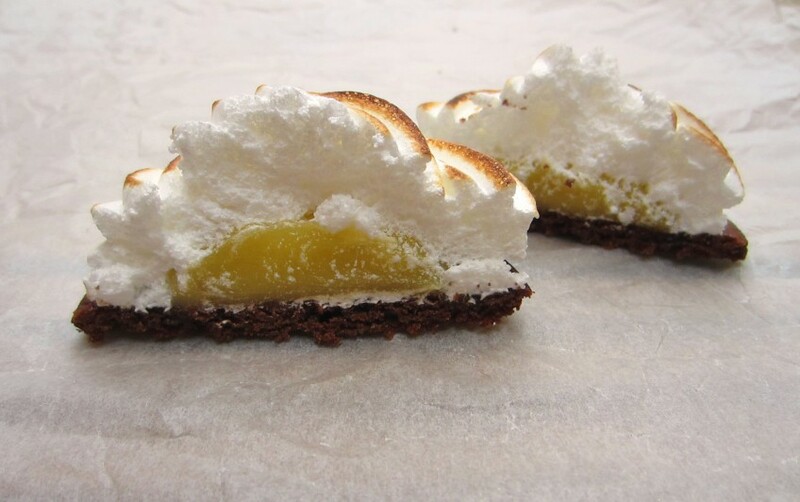 A change to the classic lemon meringue pie, this recipe uses chocolate sable breton topped with lime curd and Italian meringue. The recipe and method is for individual pies, but if you wanted to make one large pie you could. The pastry will make more than you need for this recipe, but as the pastry is shortbread like, you can just cut out as many round as you like and bake them to eat separately. Lemon or Lime curd can be used and the recipes for both can be found in the recipe section. You will need a thermometer for making the Italian Meringue. In a bowl or a food mixer, beat the egg yolks with the sugar. When they're thick and creamy add the butter and continue to beat it. Sift the flour, cocoa powder, salt and baking powder in a bowl. Beat this into the egg mixture until smooth. Flatten the pastry into a disc, wrap in cling-film and chill for at least 2 hours. 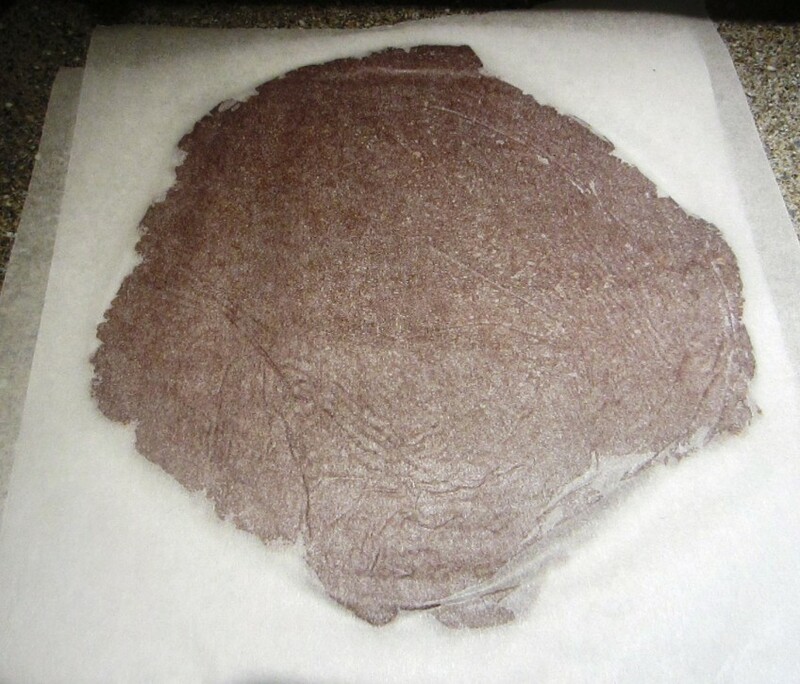 Remove the pastry from the fridge and roll it out between two sheets of baking parchment. The pastry is very sticky (rolling it out on a floured surface will alter the colour) and this will help stop it sticking to the worktop. Roll the pastry out to 4-5mm thick and using a cookie cutter stamp out round about 70mm in size. You need at least 12, but you will get more. At this point you can freeze the remaining pastry for use at a later date, or you can cut out more rounds and eat them like shortbread. Place the rounds on the trays and cook for 10 minutes, turning halfway through to ensure even cooking. Combine 100g of the sugar and the water in a saucepan. Cook over a medium heat, until the sugar dissolves. Bring to a boil washing down any crystals on the sides of the pan with a moistened pastry brush. Dip the thermometer into the syrup, until if registers 244F or 118C. Meanwhile place the egg whites and 25g of the sugar in the bowl of a stand mixer with the whisk attachment fitted. Just before the sugar is ready, whip the eggs at medium speed until they hold a soft peak. Turn the mixer up to high and carefully pour the sugar syrup down the side of the bowl into the whites and whip until the mixture cools to room temperature, this should take about 10 minutes. 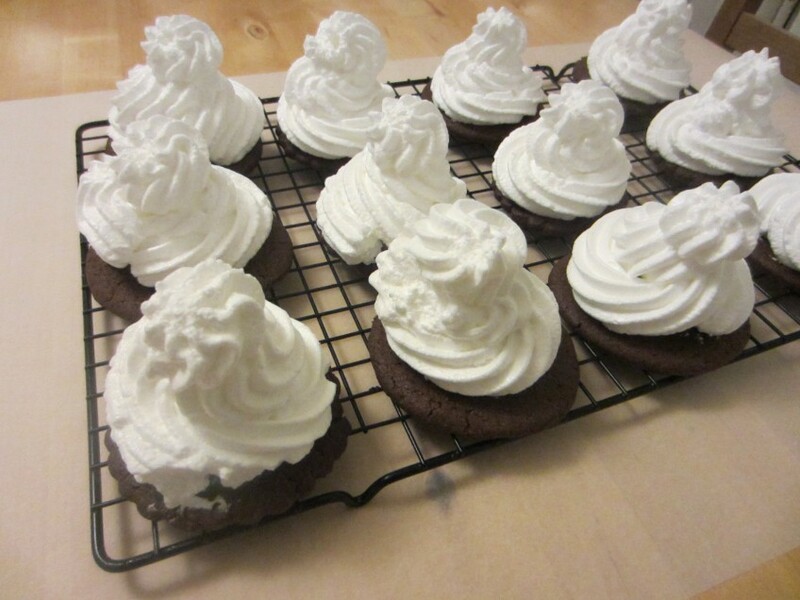 Spoon the meringue into a piping bag fitted with a star nozzle. Take 12 of the shortbread rounds and heap a teaspoon of lime curd in the centre. Pipe round the outside of the curd and work upward to completely conceal the filling and finish the pies with a swirl. Repeat that step 11 more times. Take a chef's blowtorch and gently scorch all of the mini meringue pies. Quite often I come across recipes that use cups as a measurement for the ingredients. Whilst this is probably fine for savoury dishes, there is no way this would be accurate enough for baking. For recipes like this one, it’s vital to weigh all of the ingredients accurately. I use a set of Salter Electronic scales, these allow me to measure dry and wet ingredients and they have a handy reset button, so I can use one bowl for many ingredients, re-setting the scales back to zero for each addition. 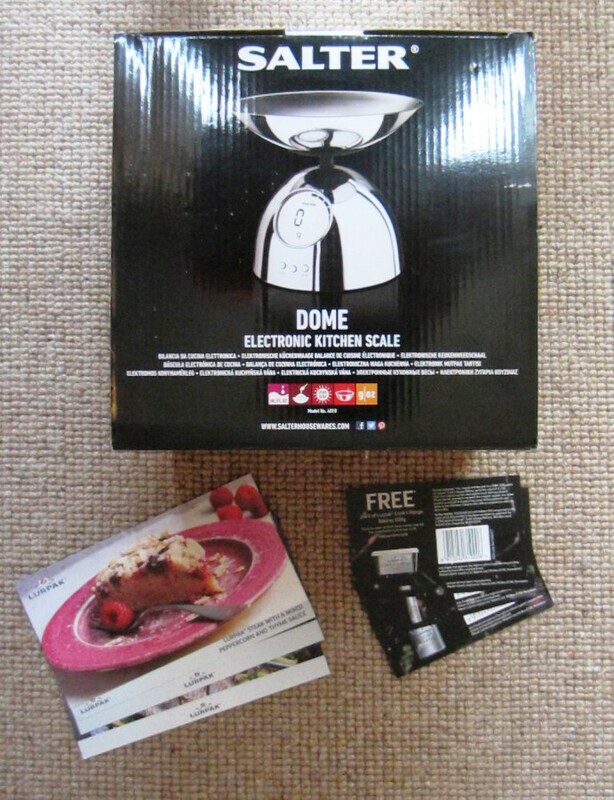 This ties nicely into the giveaway I am running which is to win a set of Salter Aquatronic Dome Scales (these retail for £65 at John Lewis) and some Lurpak vouchers for products from their new ‘Cooks Range’ including Baking, Cooking Liquid, Cooking Mist and Clarified Butter, along with some of their recipe cards. I’m afraid this is only open to residents of the UK as it would cost too much to post this overseas. To be in with a chance, enter using the options below. Thanks for reading and good luck with the competition, entries close midnight(GMT) on 30th September 2014, UK Entrants Only. Lemon? Then I’m sold! Love lemon desserts and cakes! Good luck with the comp! They are delicious, you should give them a try! 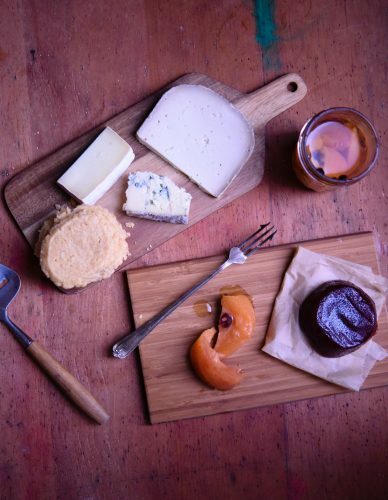 Those pies look absolutely gorgeous… you’ve tempted me to make some now!! His mum was the master baker but sadly she passed away just before Christmas unexpectedly. The Victoria sponge is the only tried & tested recipe he has of hers, the rest are sadly gone with her as no one knows where she wrote them down (if she even did that!). Think it’s what sparked his baking off. Glad it’s got him into baking now, when it goes right, it’s very relaxing! Love shortbread, a very good choice. What do you make with clarified butter other than Indian dishes? I’ve never cooked with it! Can’t blame you for breaking out the blowtorch! Who wouldn’t? And Salter are the go-to for scales. Hadn’t seen these but they’re PRETTY. Good shout. You could go really creepy with the decorations too! Wife makes a lot of scones, so they would probably be first. Lovely when fresh and even nicer when slightly stale but then toasted and spread with butter! Can honestly say I’ve never tried a toasted stale scone, it doesn’t sound unappealing though. I might give it a go, love cheese scones! I really want to make a quiche so I think that would be the first thing I would make. 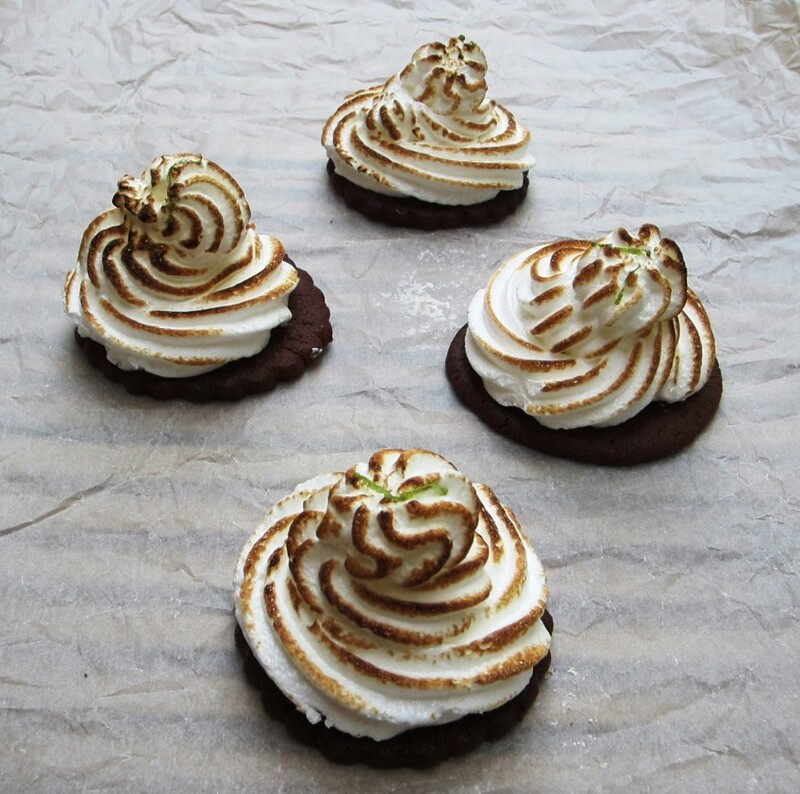 Those mini lime meringue pies look amazing! I love quiche jaye! Such a delicious idea. What cake would you make for them? Sounds intriguing. I do like a good celebration cake. Hey Vicki, you can always freeze your pastry and then thaw it overnight in the fridge. I always make my pastry in advance to give me more time when I bake in an evening. I quite often make more pastry than I need and freeze half. They sound delicious. I’ve made pumpkin cake before, but not cupcakes. What do you frost them with? Something cream cheese based? That sounds delicious. I’ve never added orange juice before as I was worried it would change the consistency. Thanks for the kind words. It’s a delicious pastry and these taste very good, reassuringly retro.